Talman Consultants is a fast-growing engineering design consulting firm in Chicago that partners with utility leaders to manage complex infrastructure projects. Since its establishment in 2016, Talman has tripled in size, outgrowing the coworking space where it was located. 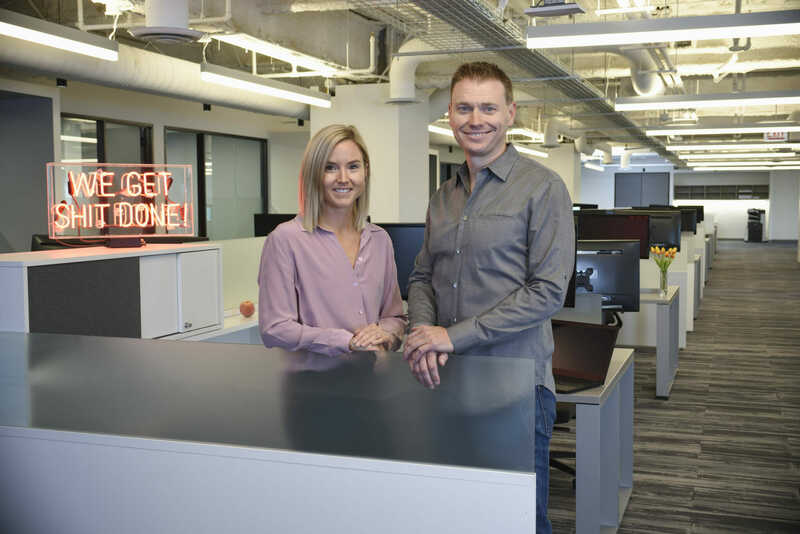 The firm required a larger and more productive space for its team and one that complemented its culture but struggled to project how much more growth it would experience in the future. Talman decided it was time to move when its busy season was approaching. Needing to finalize a deal within 60 days, it was critical to identify existing, cutting edge spaces that would allow them to fulfill their needs, while not having to commit to a long-term deal, which is not suitable for a new business. Speed to close was essential, and Bespoke found the ideal property to meet Talman’s goals within a tight timeline. Bespoke brokered the lease for a 16,917 square-foot space in the iconic Chicago Board of Trade Building located at 141 W. Jackson Boulevard. The office’s central location, less than a half-mile from City Hall, was a big selling point for the firm since its team must regularly meet with city officials. The property features attractive amenities for employees, such as a gym, a rooftop, multiple food service options, banking, and dry cleaning services. The new space is move-in ready and perfectly suited to Talman’s current needs and company culture. It also offers the option of adding 12,000 square feet of extra space when the firm is ready to expand. Bespoke brought in strategic partner Box Studios to assist with current and future space programming and to optimize the office for greater productivity which included allocating space for client meetings, clustering teams, and establishing private work areas for employees and executives.